Hiiii! Before I start this post I want to let you know that I will be on a mini hiatus until the end of the month due to exams. I'll only be blogging once this month compared to my usual 4 (one post a week) but I can assure you that in July I will post more than 4 times (that will be my goal). 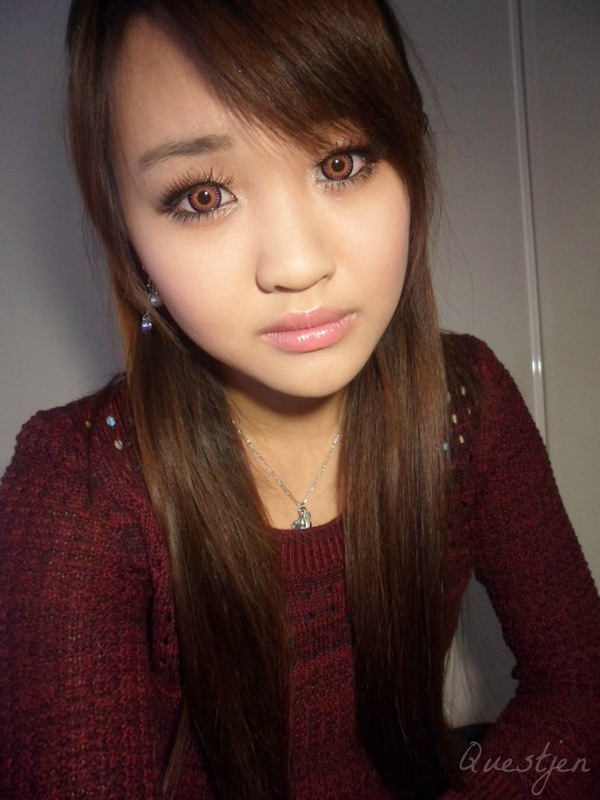 I received a pair of lenses from LensVillage and they're the Kimchi Bambi Pink lenses. 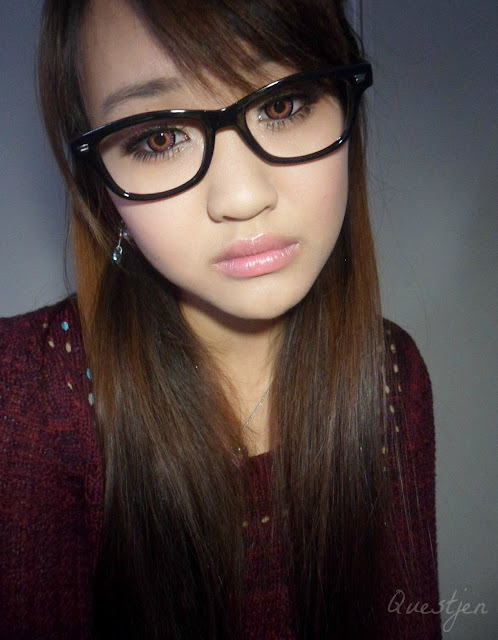 I chose these ones because I like pink lenses... I've had around 4 pairs previously~ and the other reason for choosing these was because they're the design that Japanese gal model Tsubasa Masuwaka wears. You may remember the pair of Geo Princess Mimi Chocolate Brown lenses that I reviewed last year (and wow my hair was much shorter back then! I like how my hair has growwwwwn) and these have the exact same design despite being manufactured by a different company. I won't be making a comparison. I hope people don't get freaked out by these lens pictures ehehe sorry ^^"
I actually forgot about how much these lenses don't blend in with my natural eye colour. And yes, I freaked myself out too when I first tried them on haha. 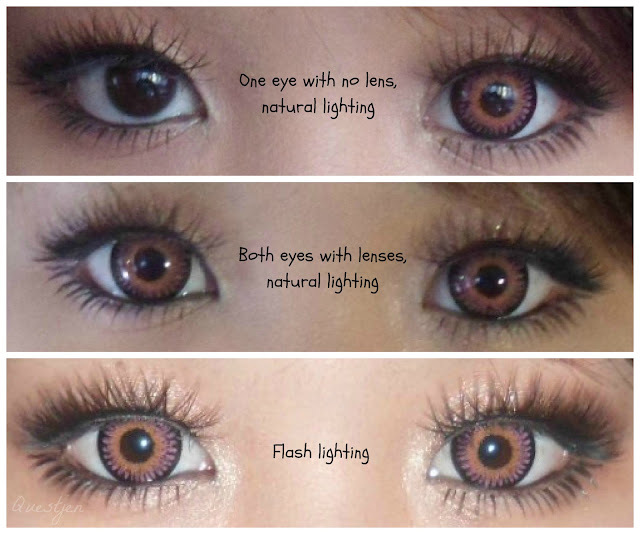 These lenses are totally appropriate for gyaru makeup looks and Halloween parties... I wouldn't wear these out on a normal day... heck, not even for an evening event! Creeeeepy with the flash. I used black eyeshadow and eyeliner for the majority of the look but my iPod camera turned it purple T___T And that's supposed to be red not pink/purple argh! I found these lenses to be exceptionally comfortable. Most of the time I was wearing them, I couldn't 'feel' them in my eyes. As with all lenses, I wouldn't recommend wearing them for more than 6 hours, especially these ones which are 16mm in diameter (less oxygen for the eyes compared to wearing 14mm lenses). Always carry eye drops for contact lenses to help maintain its moisture! Thank you for reading my post and thanks LensVillage for providing me with these lenses! 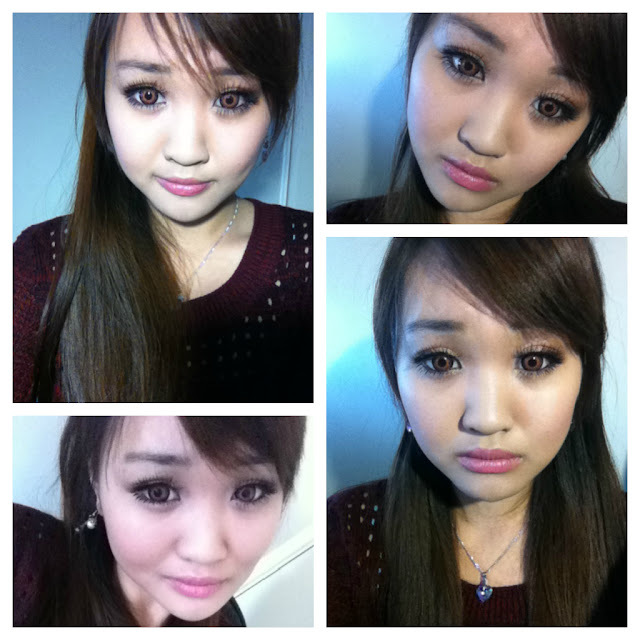 GI & Gary Professional Eyelashes, light black (10 pairs) - thanks to Tezza ♥ ! So if anyone wants me to review any of the above products etc., just let me know below and I will consider doing so for my upcoming posts!